Statements of responsibility: Photograph has been attributed to Philip T. Timms. 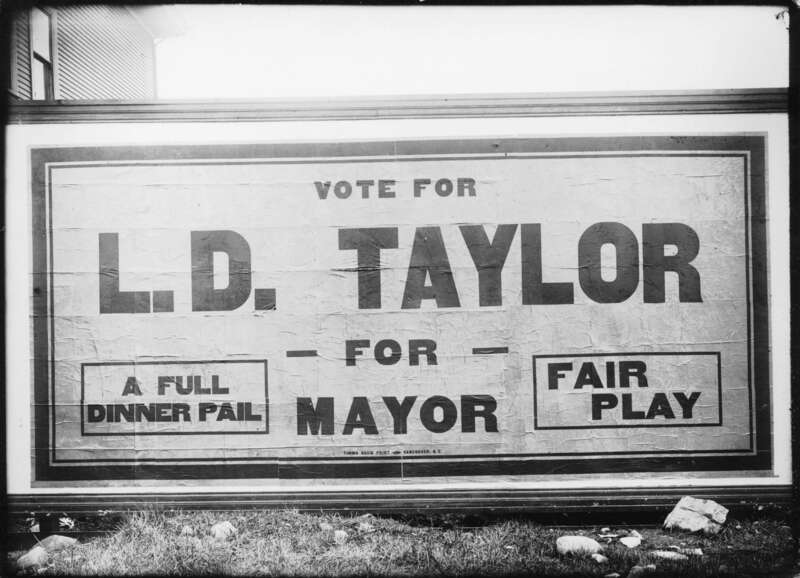 Photograph shows a poster reading "Vote for L. D. Taylor for Mayor - a full dinner pail - fair play." Lettering at the bottom of the sign indicates that the sign was produced by Timms Show Print.